The European Central Bank said on Jan. 24 that interest rates were left unchanged at a meeting of its Governing Council. The central bank’s deposit rate is currently -0.4 percent, and the main refinancing rate is zero percent. 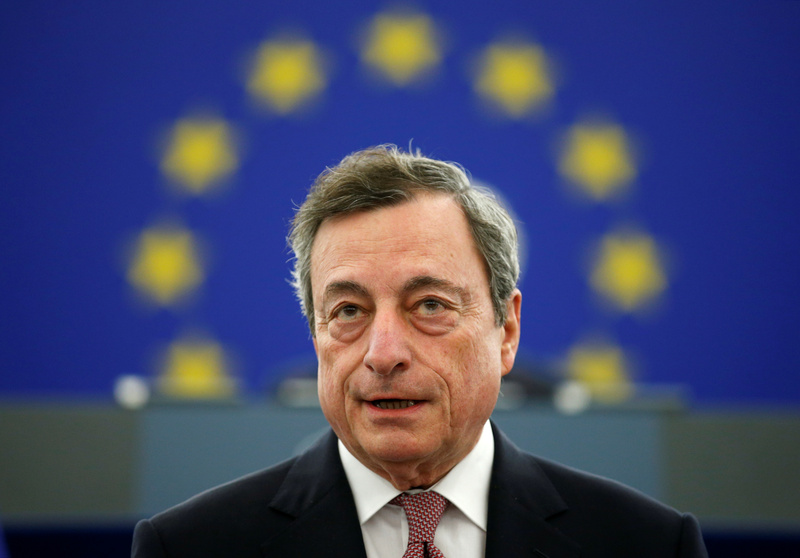 ECB President Mario Draghi told a news conference that the risks to growth in the euro zone were now tilted to the “downside”, having previously said that risks were broadly balanced. He also said that several members of the Governing Council had discussed the possibility of the central bank providing further targeted long-term refinancing operations, but that no decision had been taken. The central bank said in a statement that it expected rates to stay at current levels “at least through the summer of 2019, and in any case as long as necessary” to ensure that inflation converged towards the central bank’s target level of close to, but below, 2 percent. The IHS Markit Flash Composite Purchasing Managers' Index for the euro zone sank to 50.7, its weakest reading since 2013, and just above the 50 mark which separates growth from recession, a survey showed on Jan. 24. Economists had been expecting a reading of 51.4, according to a Reuters poll.